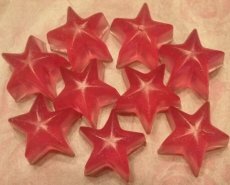 The Star Guest Soaps in Bora Bora were featured at my birthday party. Everyone loved the fun and fruity scent! Like sipping a drink with an umbrella! We love Sandi's Soap Scents!